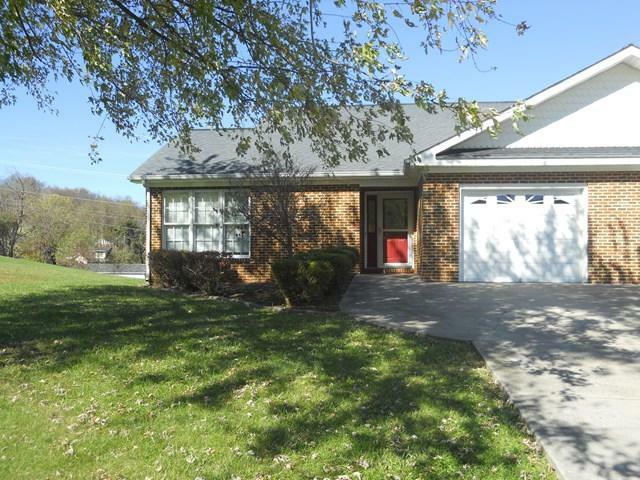 156 Linda Lane, Tazewell, VA 24561 (MLS #62451) :: Highlands Realty, Inc.
READY TO DOWNSIZE AND SIMPLIFY LIFE A LITTLE?? THIS IMMACULATE ONE LEVEL TOWNHOUSE IS READY FOR A NEW OWNER! NOTHING TO DO HERE BUT MOVE IN FURNITURE! IT OFFERS A NEWER KITCHEN WITH STAINLESS STEEL APPLIANCES, GRANITE COUNTERS, LARGE DINING AREA AND RECESS LIGHTING! OPEN LIVING ROOM WITH VAULTED CEILING, GAS LOG FIREPLACE & HARDWOOD FLOORS! SPACIOUS MASTER BEDROOM & BATH WITH STEP IN SHOWER! MAIN BATH HAS LARGE JETTED TUB! 3RD BEDROOM COULD BE USED AS AN OFFICE! LARGE DECK FOR ENTERTAINING, NEW STORAGE BUILDING AND NICE VIEWS! Listing provided courtesy of Beth Clemons of Tazewell County Realty. © 2019 Southwest Virginia Association of REALTORS®. All rights reserved. IDX information is provided exclusively for consumers' personal, non-commercial use and may not be used for any purpose other than to identify prospective properties consumers may be interested in purchasing. Information is deemed reliable but is not guaranteed accurate by the MLS or Highlands Realty, Inc.. Data last updated: 2019-04-20T19:10:52.56. © 2019 Tennessee/Virginia Regional Multiple Listing Service. All rights reserved. IDX information is provided exclusively for consumers' personal, non-commercial use, and may not be used for any purpose other than to identify prospective properties consumers may be interested in purchasing. Data is deemed reliable but is not guaranteed accurate by the MLS. Data last updated: 2019-04-20T19:59:54.5.